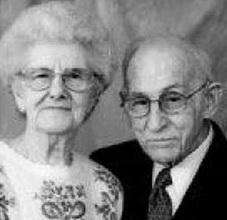 CEDAR FALLS - Rex Donald Bisbee was born April 23, 1923, in Waterloo, the son of William Irving and Lillian Frances (Wright) Bisbee. He graduated from East Waterloo High School in 1957, then attended and graduated from Radio and TV School. Rex joined the United States Navy in 1941 and was honorably discharged in 1946. He spent three years in hospitals as a result of contracting tuberculosis in the Pacific during WWII. Rex was united in marriage to Mary Louise Podurgiel on March 16, 1946, in Norwich, Conn. He worked 12 years as a courier at Purolator Courier Service, retiring in 1986. Rex was a member with the American Legion, NRA and Boy Scouts of America. He was a loving husband, father, grandfather and a good friend to all who knew him. Rex was extremely proud of his military service aboard the U.S.S. Caperton and the U.S.S. Scamp. He enjoyed the Boy Scouts with his son and camping with his family and friends. One of his favorite pastimes was feeding and watching birds, especially goldfinches. Rex passed away on Monday, July 27, 2009, at the Western Home Communities Elizabeth E. Martin Center at the age of 86. He is preceded in death by his parents; three brothers, Ernest, Ben and Francis; and four sisters, Ruth Ingram, Evelyn Jarrett, Jean Garthoff and Mildred "Midge" Philiph. He is survived by his wife, Mary Bisbee of Cedar Falls; two daughters, Becky (Roger) Thompson of Waterloo and Mari Lynn (Dale) Thompson of Maple Grove, Minn.; a son, Jeff (Nancy) Bisbee of Bettendorf; eight grandchildren, Christopher, Carolyn, Cynthia, Bradley, Michele, Allison, Stefanie and Emily; and a sister, Lois Clute of Cedar Falls. Services will be at 10:30 a.m. Thursday at St. Andrews Presbyterian Church, with burial in Fairview Cemetery, Waterloo. Military rites will be conducted at the cemetery by Becker-Chapman Post 138 American Legion and Waterloo Post 1623 Veterans of Foreign Wars. Public visitation from 4 to 7 p.m. today at Parrott & Wood Chapel of Memories, and for an hour before services Thursday at the church. Memorials may be directed to St. Andrews Presbyterian Church, Cedar Valley Hospice, American Lung Association or to the Western Home Communities.